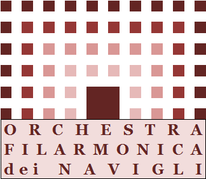 ORCHESTRA FILARMONICA dei NAVIGLI - Benvenuti su orchestra-filarmonica-com-engl! the orchestra gets together and makes its own rehearsals at San Pietro Cusico in the municipality of Zibido San Giacomo. This place is located right in the middle between the two branches of the canal called Naviglio, within the Agricultural South Park of Milan and in the middle of the lower Po Valley. the word means "Association of Music Lovers", and the definition is more appropriate than ever for the intentions and goals of its members. this is a group composed of strings, winds and percussion instruments; these elements precisely configure an ensemble of orchestral type. The orchestra was founded by the will of its members to make music together and to have fun doing it. This, at first sight may seem trivial, it embodies the, anything but subtle, difference between making a business out of duty, and do an activity to derive pleasure and personal fulfillment. The orchestra members do not pursue professional purposes, but spiritual. Each one comes with his own technical and cultural background and it does not matter the different ability. Therefore they will meet different levels, from the graduated person to that one who started a few years ago the study of an instrument. All will work together with the aim of improving the playing together and enjoying themselves in doing so. The orchestra will be an opportunity for inducement and comparison, an example for young and old people. It is an orchestra amateur and therefore making profit is not its purpose. The orchestra has also the ambition to propagate music and musical culture as a Whole, in addition to promoting the music in order for fun, sharing of intentions and musical spirituality among its members. The Navigli Philharmonic Orchestra, due to its heterogeneous nature, is able to perform the most varied musical repertoires, ranging from '500 to contemporary authors. The orchestra not only performs the classical repertoire, but also jazz, pop and rock, experimenting in different genres of the '900 and of the second millennium. The orchestra is also able to deal with the great Italian, French, Mozart opera repertoire. 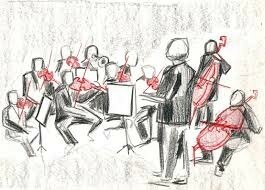 The Orchestra is able to deal with a wide repertoire. Each score, to be addressed with coherence, requires its own interpretation scheme that requires, therefore, a variable organic. The Navigli Philharmonic Orchestra is absolutely able to modulate its orchestral organic depending workforce required by the interpreted piece. 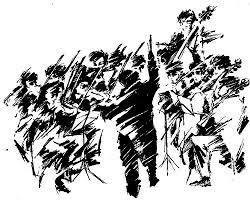 Therefore, while remaining basic orchestral composition 40/45 musicians, the orchestra is able to offer organic staff from simple duet to large symphony orchestra, from the accompaniment of a solo singer, to the accompaniment of opera choruses or otherwise, execution of entire operas.